Charles “Thomas” Scott moved to Chillicothe in 1877, after serving in the Civil War. He was a religious, family man and a member of the Bethel A.M.E. Church. He was also a musician and preacher. Michelle Brooks will be discussing the Civil War soldiers of the 62nd U.S. 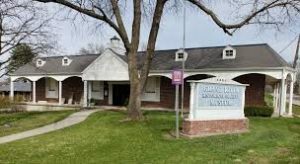 Colored Troop, several of whom were from Livingston County, on Tuesday, April 9th for the Grand River Museum’s quarterly dinner at the Elks at 410 Harvester Road; the dinner starts at 6:30pm with the program starting about 7:15pm.